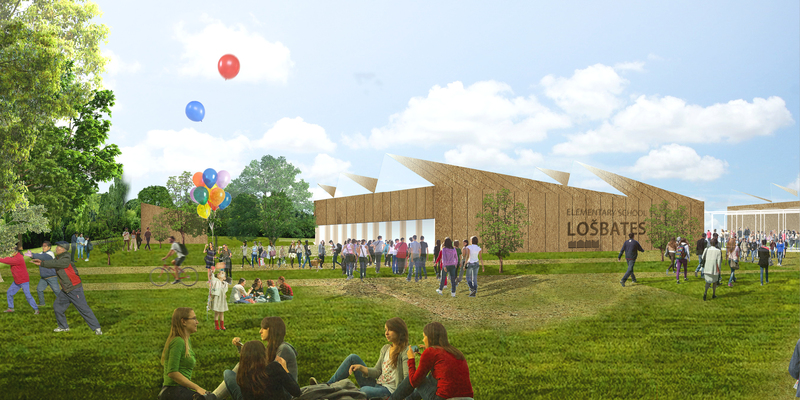 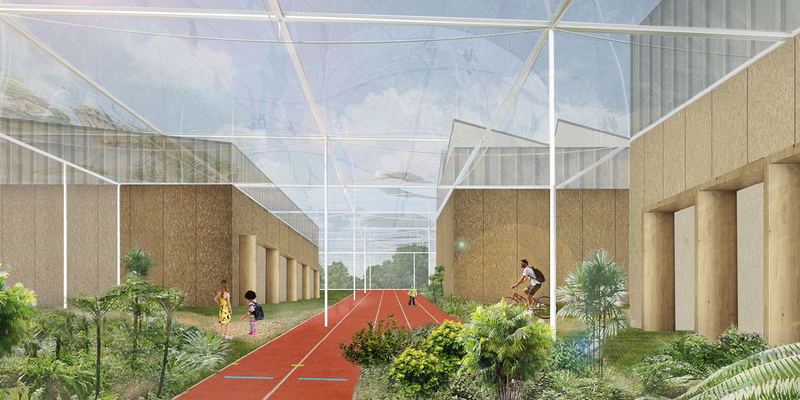 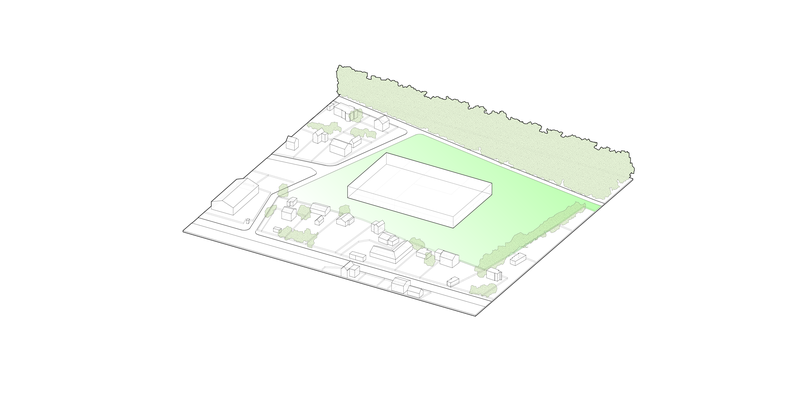 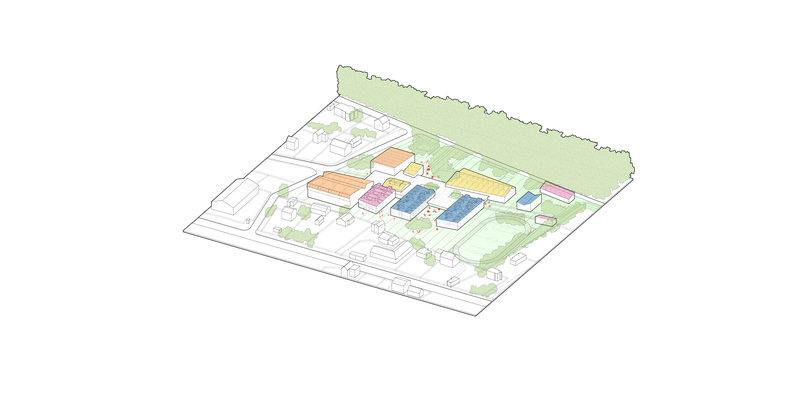 We imagine the new LOSBATES school as a modern and bright infrastructure, built in local wood for a warm touch. 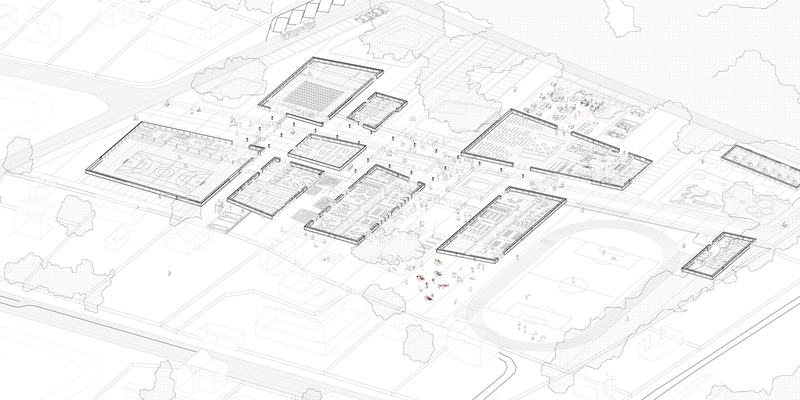 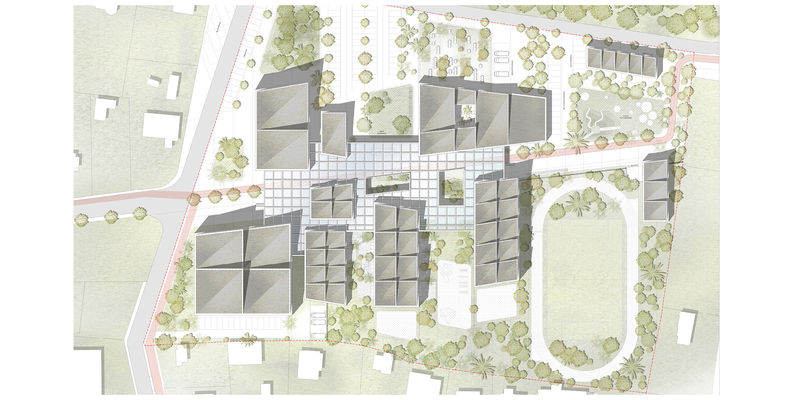 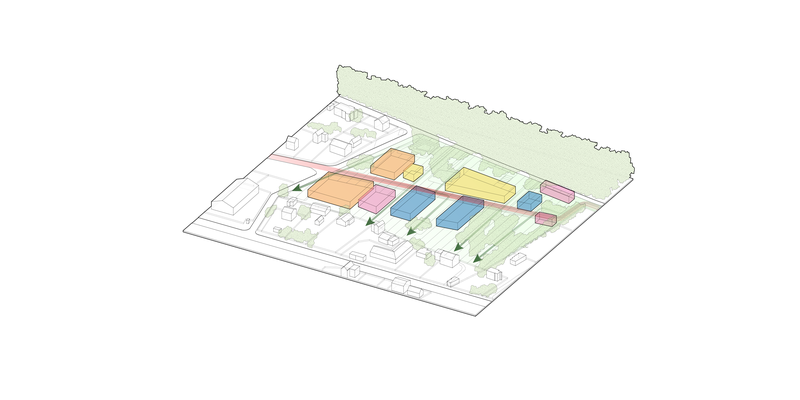 Open and integrated with its community thanks to the small size of the independent pavilions that conform it. 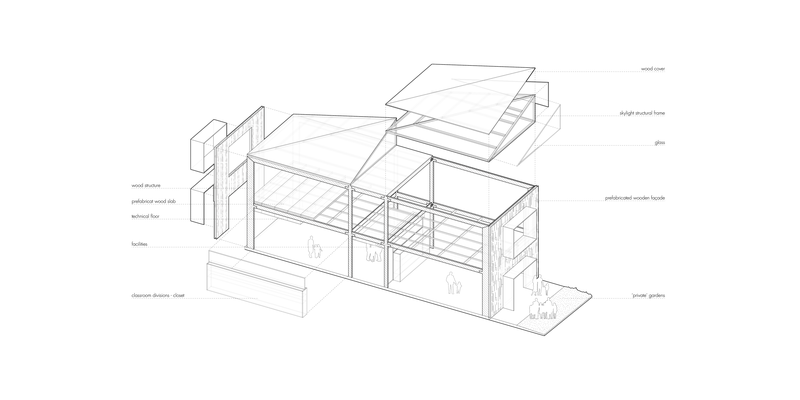 This approach allows the intermingling of nature and construction, a feeling of freedom permeates all the spaces creating the perfect stage for the growth and its young users. 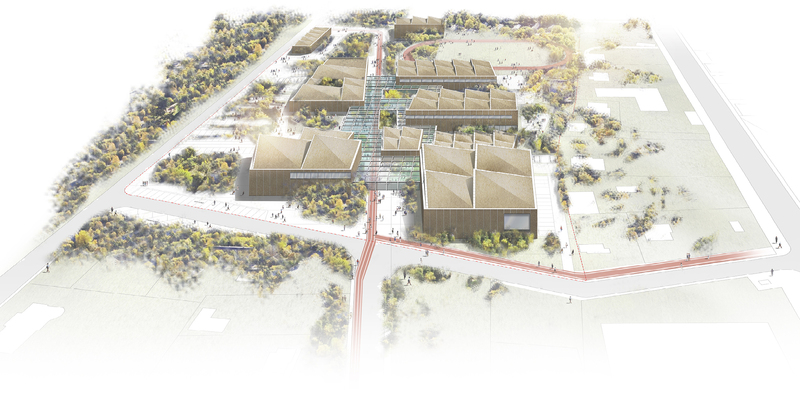 Its amenities open up to a new park which transitions into a splendid forest to the north.